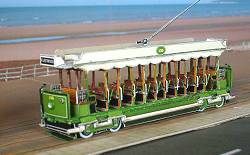 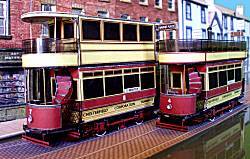 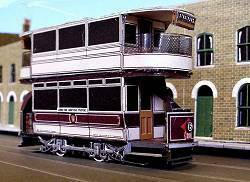 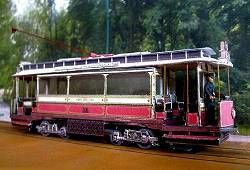 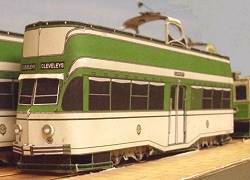 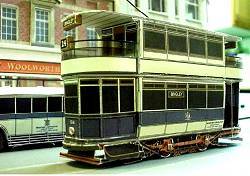 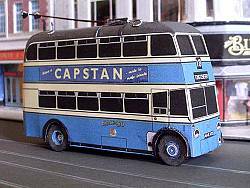 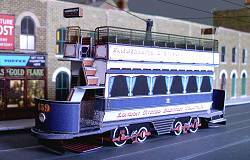 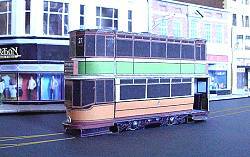 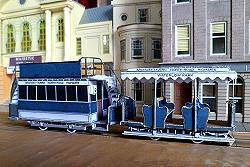 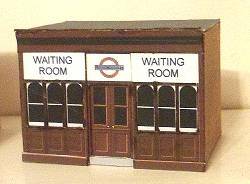 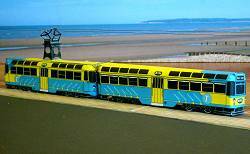 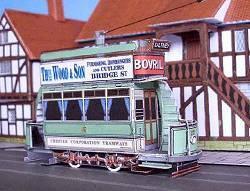 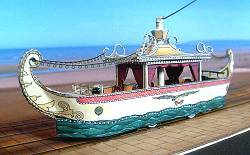 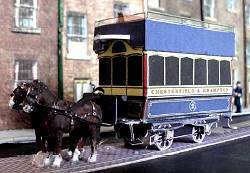 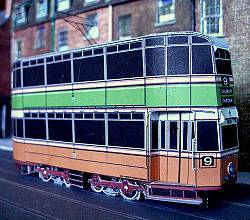 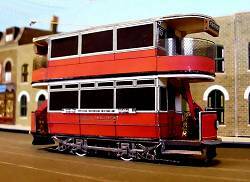 Pete Watson originally produced a range of 4mm scale card kits of Blackpool trams. 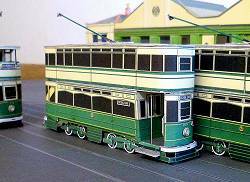 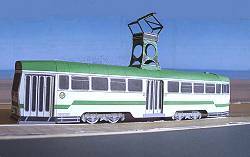 This range includes Coronation, Boat, 761, 762, 618, Brush Railcoaches in wartime green and post-war green and cream liveries, B & F Crossbench (several liveries), Marton Vambac, Twin-set and many more, a large number in advertising liveries. 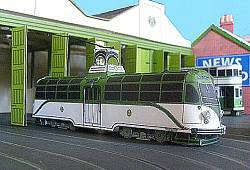 More recently Pete has extended his range to cover tramways other than Blackpool including Manchester, Darwen, Bournenouth, Accrington, Bradford, Glasgow, Blackburn, Llandudno & Colwyn Bay, Chesterfield and many others. 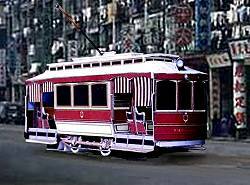 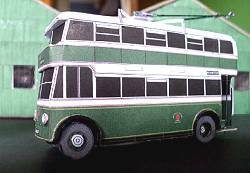 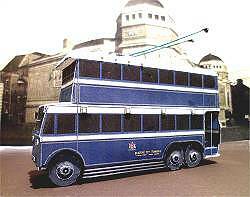 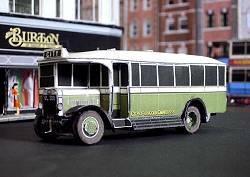 In addition there are buses, trolleybuses and buildings, in total over 100 kits to choose from. 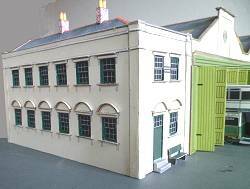 Although designed for 4mm scale, since they are in PDF form they can easily be scaled down on printing to H0, N or even smaller. 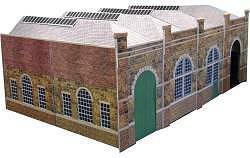 Some users have found that they can be enlarged to 0 without loss of quality, but we cannot guarantee this in all cases. 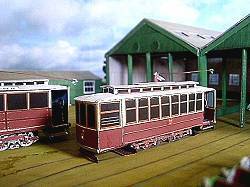 Shown are some examples but there are many more (see list), all exclusively from the TLRS. 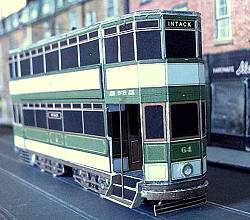 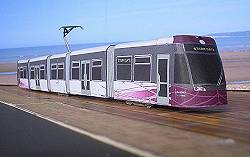 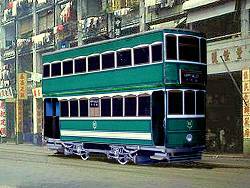 Coming soon: More Glasgow trams. 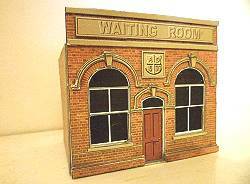 To print PDF kits you will require an Adobe Acrobat Reader to be installed, which is available as a free download. 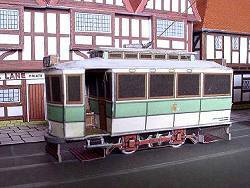 Please note that these PDFs are for the sole and personal use of the purchaser. 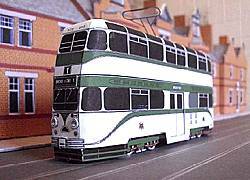 They are copyright Pete Watson and the TLRS. 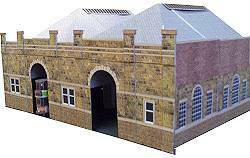 They must not be shared, distributed or re-sold in printed, electronic or any other form.